My recipe book falls open to page 402 every time, the page with our new favorite recipe: potato bread. 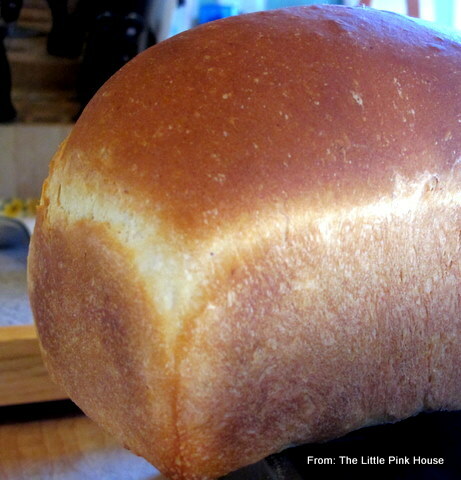 Homemade bread made with homegrown potatoes—you can’t get much better than that! 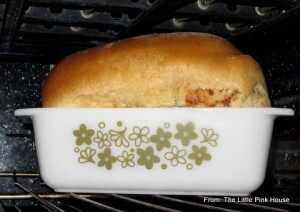 And we love to make at least one of the loaves each batch into a cinnamon swirl loaf my daughter calls “Cinn’ Bread.” The loaves rise beautifully—clear up to the top of my lil’ oven! Mix well. 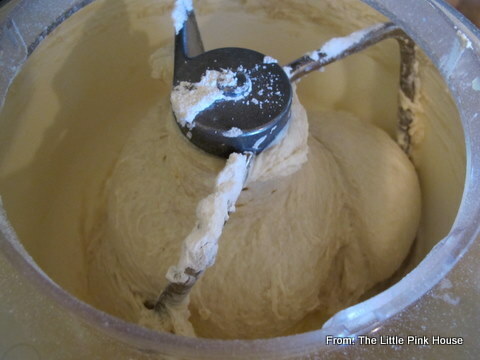 Add approximately 2 c. additional white flour, until the dough pulls away from the side of the mixing bowl, forming an elastic ball around the center of the mixer. Knead by hand or mixer for 10 minutes, adding additional flour only as needed (it’s easy to get too much flour in this recipe). 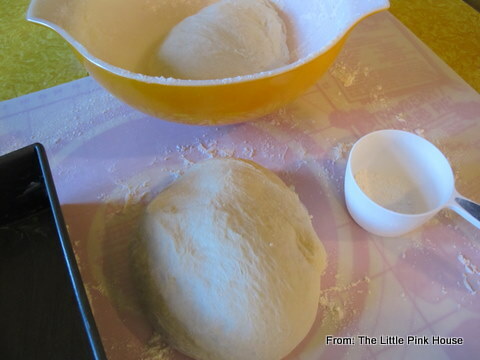 Punch down and divide into two balls of dough. 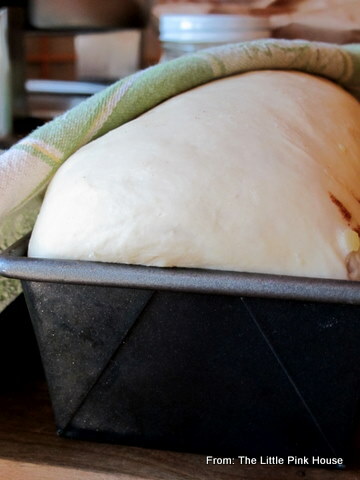 Form into loaves or twists, place in well-greased pans, and rise again. Bake at 350 for 35 to 45 minutes, until the loaves are well browned. Check to be sure they’re done by removing them from the pan and tapping the bottom of the loaf—it should make a hard, hollow sound. 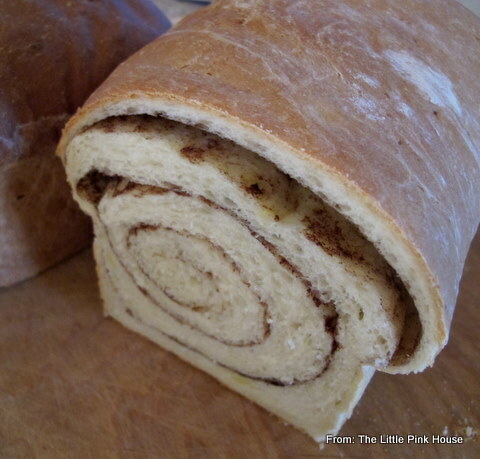 For cinnamon swirl bread: Roll out ball of dough into a long rectangle. The longer the rectangle, the more swirls there will be in the loaf. 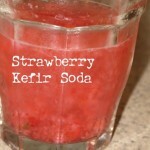 Spread with butter, powder with a bit of sugar, and sprinkle liberally with cinnamon. 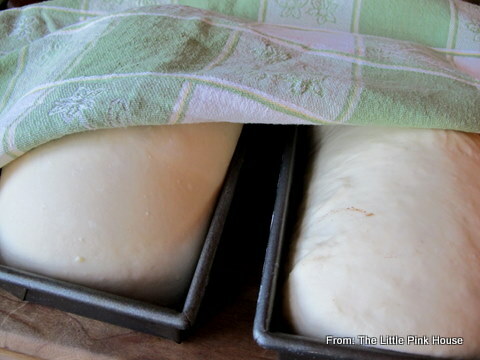 Roll up the rectangle of dough, pinching and bringing the ends under to form a loaf. 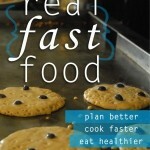 *Cook a few small potatoes in 2 cups water, until potatoes are soft. Drain and reserve liquid, adding more water if necessary for 1 3/4 c. potato water. Mash and use 1 c. of the potatoes. 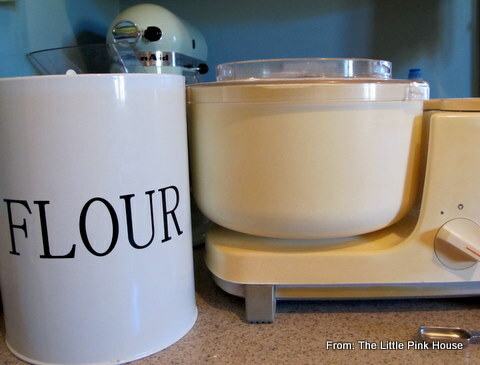 I use a Bosch mixer that was my great grandmother’s. Dough cleaning sides while wrapping around the center. 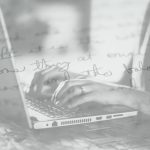 Risen, punched down, and divided. 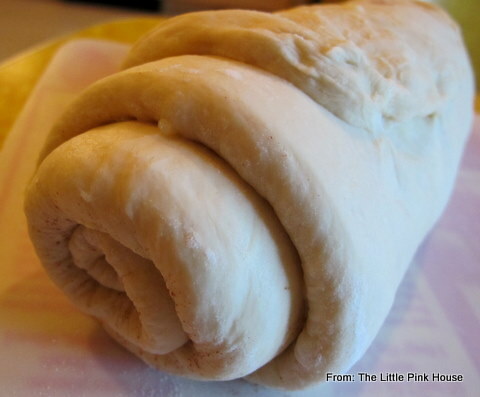 Roll the dough out thin and long–the more rolls, the more swirls! 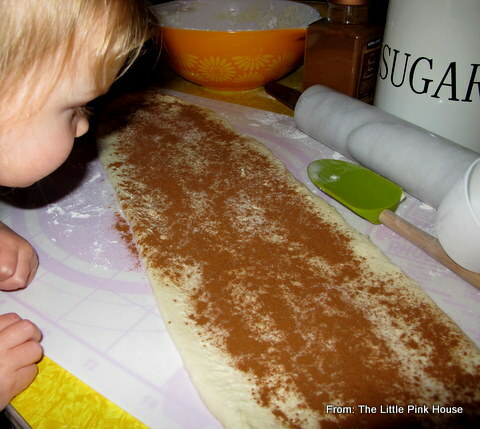 Ruth loves to help sprinkle cinnamon and sugar on the “Cinn Bread” after I spread the butter. Roll it up tight (just like for cinnamon rolls). 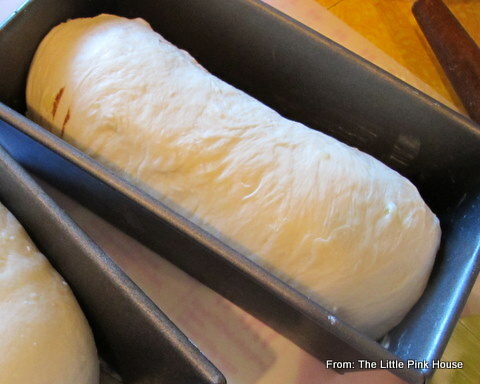 Ends tucked under to form a loaf. The cinnamon swirl loaves don’t rise as fast as regular potato bread loaves. 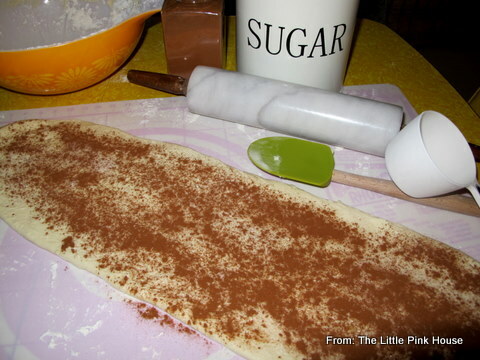 Cinnamon bread risen and ready to bake! Baked Potato Bread (no wheat flour in this batch). “Cinn” Bread. Not perfect, but pretty! 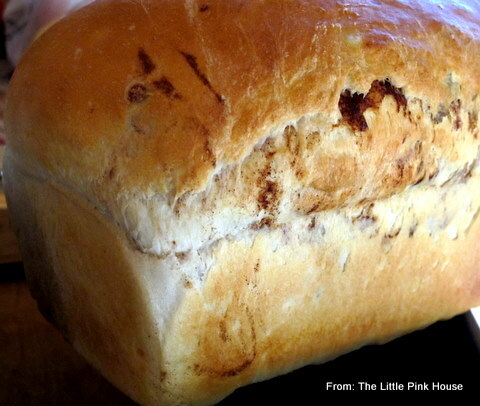 A loaf of Cinnamon Swirl bread with 1 cup wheat flour–it rose to the top of my oven! 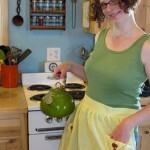 Gretchen, we tried your simple whole wheat bread recipe, and it was delicious! Your brother and I voted it a keeper, as are you, naturally. Thanks for sharing. Wow, you’re awesome! Those look so pretty. I’m totally coming over for bread!